Artistree Performing Arts is a performing arts studio offering classes for students preschool through high school. We strive to foster a community of performers who can build confidence and friendships in a supportive and engaging environment. 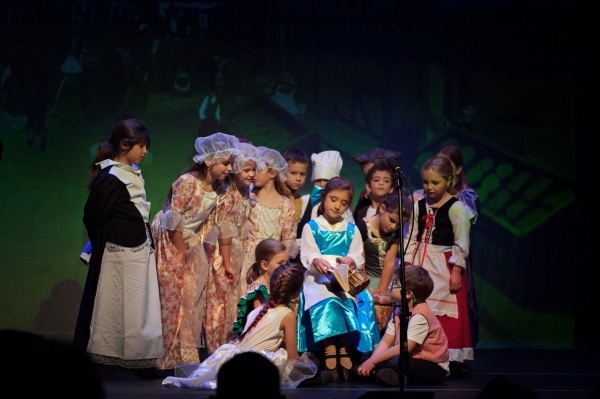 Artistree offers everything from preschool performing classes, after-school classes in acting, film, and musical theater, and performance workshops for elementary, middle and high school students. Whether your child is on a pre-professional track or just loves to sing and dance, we have the class or workshop to fit their needs. Winter-Spring Registration begins November 1. Click here to sign up! 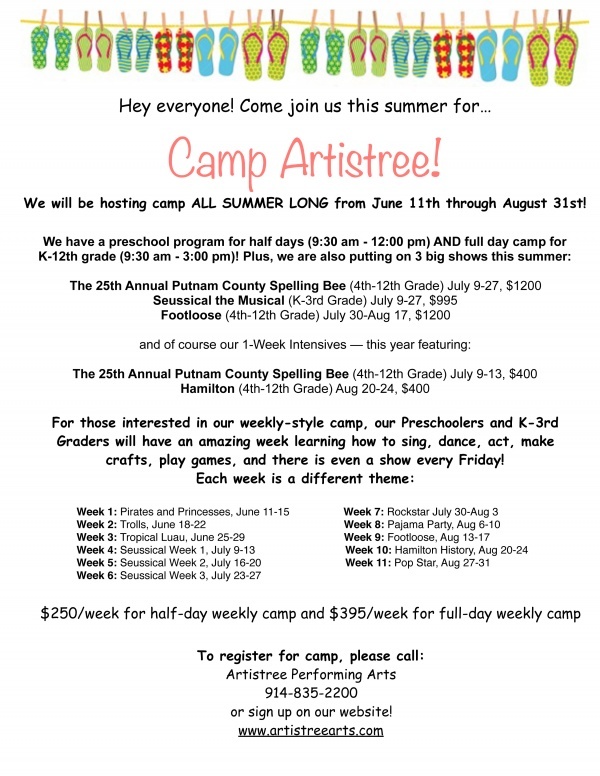 Artistree offers weekly performance camps for Preschool-9th grade during the December break, February break, Spring Break and all summer long! 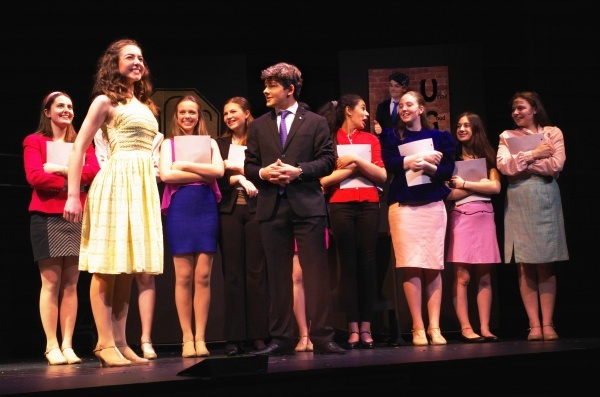 We also offer THREE different three week camp experiences where students rehearse and mount a show! December Camp featuring “The Greatest Showman” runs December 26-28. Click here to register! 2019 Camps begin enrollment on December 1. Looking for something unique for your child’s birthday? 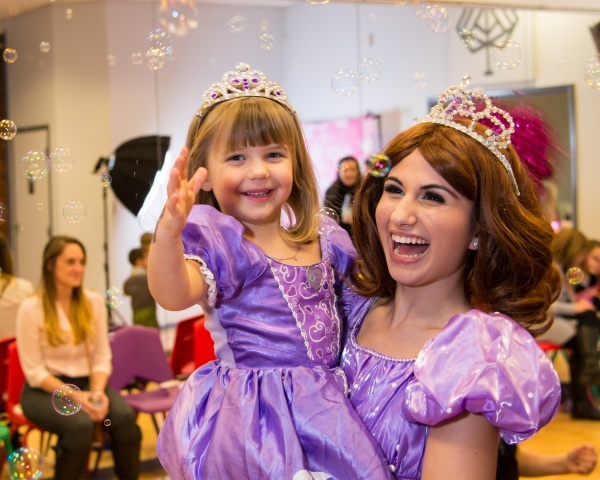 Let Artistree customize a party that will let your child shine on their special day! Whether coming to your space or taking care of all of your party needs with a fully catered party, we have the perfect party package for you. Themes include princess, hip-hop, karaoke, superhero, Broadway and more! Click here for more info! Check out our website at artistreearts.com and come see "where talent grows" at Artistree Performing Arts!